Here’s how you can dramatically reduce the waste and improve your ROI. “Oh, come on. I already have enough to do running the business, and besides, I’m not a spreadsheet and numbers kind of person.” I get that. “More money in the cash register, and how to increase it, will make it worthwhile to spend some more time and money on marketing. And I’m totally willing to measure and analyze that.” Fair enough. Give me a few minutes, and I’ll show you some powerful stuff that’s probably already sitting right under your fingertips. Free, and very little of your time. Sound good? Since about 1900, and even a bit before that, smart businesses have marketed in a way that they could track the return on their investment (ROI). They would send out small amounts of a new offer, for example, and measure the response before blasting that message to a larger audience. Or, they would send out competing offers to see which one performed better. While this was often expensive on the front end, and it could take weeks or sometimes months to gauge the results, the increased ROI was obvious. Even when a test didn’t hit it out of the park, there was value in learning what worked and what didn’t. Today, we have the tools to know very quickly whether something is having a positive impact or not. Again, not only are they free, you probably (hopefully) already have them. One is a set of reports from your Google My Business (GMB) listing that we talked about in a previous post. The other is Google Analytics. 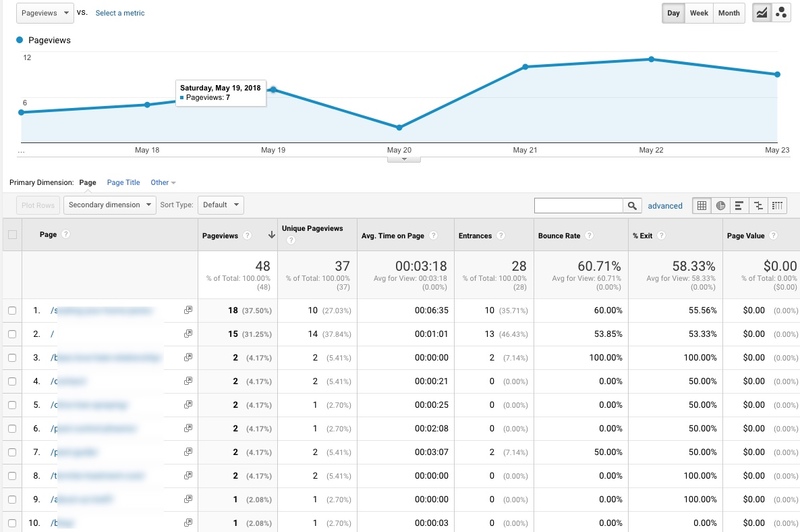 Google Analytics takes literally a minute or two to add to most websites. If the person who built your website didn’t install it, you just may have picked the wrong person to handle that for you (more on that in a future post). If you have Google Analytics installed and connected to your Google account, you can see it by navigating to http://analytics.google.com and signing in. 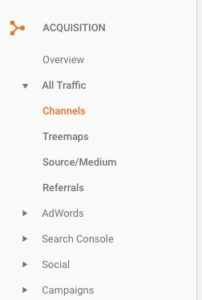 If you do not have Google Analytics installed, here’s a link on how to install it to your website: Get started with Analytics You will need the ability to edit your website. If you use a CMS (content management system) such as WordPress, SquareSpace, Wix, Droopal, Joomla, etc. – a quick Google search on “how to install Google Analytics on <your CMS>” will be very helpful. If the thought of adding a little chunk of code to your website gives you chills, and your ‘web site person’ has flown the coop, contact us. It literally takes a few minutes, and we’d be happy to help you. You really, really need this. Flying blind is inexcusable. You will need a Google account (and the password to it) in order to look at your Google Analytics results. Hopefully you already created one when you claimed your Google My Business (right? ), but if not, the signup page on http://analytics.google.com will walk you through creating one. The subject of online analytics is literally as big as an ocean. The things you can track and refine are nearly endless. Don’t worry, I have no intention of drowning you. We’re going to get you started with some very valuable low-hanging fruit. By a large margin, business owners we talk to want to rank higher in search. I’m sure you’re sick of the phone calls and emails from people touting their ability to do that for you. But what if your website lacks the ability to engage the people sent your way by higher rankings? What if they leave almost instantly? Knowing that would have a profound effect on what needs to be addressed, right? All good analysts start with a question that, when answered, will help you make better decisions on where to focus your efforts. What’s working and what’s not. Here are the most basic questions that we’ll show you how to answer in this article. You will be amazed at how easy it is to gain answers to these questions using Google Analytics, and how valuable it will be toward moving you down the path of understanding and improving the ROI on your online marketing. I want to point out a few things to pay attention to. The little menu with the arrow pointing to it allows you to choose what date range you’re looking at. 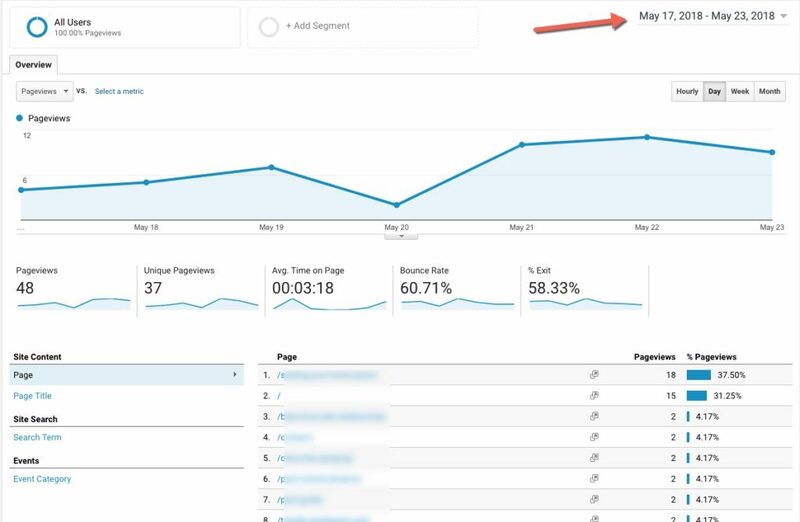 Google Analytics will allow you to look at data for any date range you choose, going back to the day you installed Analytics on your website. Pageviews/Visits: The total number of times your site was visited in the specified date range. “Unique Pageviews” will tell you how many people viewed that particular page of your website during the date range you have chosen. “Avg. Time on Page” will tell you how long they tend to stay there. You can see which pages your audience tends to be able to find on Google by how many pageviews they have, and you can judge how much they like the content on that page by the Time on Page and the Bounce Rate. Organic Search: People who found you by searching on Google, Bing, etc. Social: People who came from a social network like Twitter, Facebook, etc. You can click on any of these terms to find more information on how those people found you (for example, clicking on Referral will let you see what sites they came from). As you can see, the traffic is broken up into Desktop, Mobile, and Tablet. The techniques covered in this post are really just the tip of the iceberg for understanding Google Analytics and the amazing power it can bring to your business. 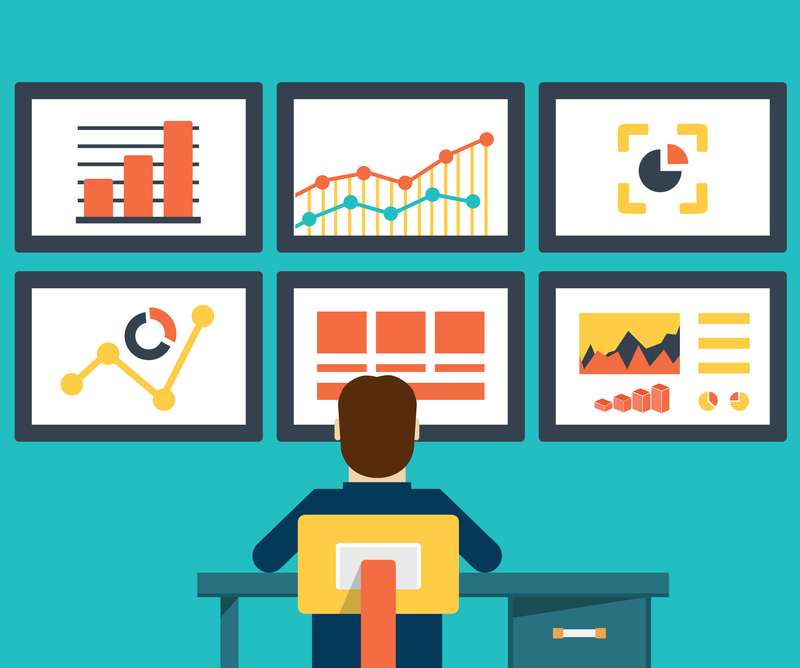 The most important thing when you’re just starting out, is to install Analytics on your website and pay close attention to the few metrics outlined here. You can get a lot more detailed later, and the data will be there when you want it.